Central Piedmont Community College will host its commencement ceremonies today. Almost 950 students are expected to “march” and receive their college degrees, high school diplomas and GEDs throughout the day’s festivities. Since CPCC holds only one graduation ceremony per year, 2012 summer and fall semester graduates will be participating in the college’s ceremonies as well. 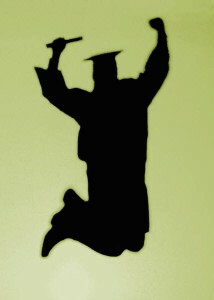 Adult High School/GED/Pathways to Careers Graduation at 11 a.m. The college will kick off its commencement exercises with its Adult High School, GED and Pathways to Careers student graduation ceremony. While more than 725 students from across Mecklenburg County were eligible to participate, only 250 are expected to “march” during the event. Mr. Tony Zeiss, president of CPCC, will be the guest speaker. College Graduation Ceremony at 7 p.m. Following the Adult High School and GED student graduation ceremony, CPCC’s undergraduate students will take the stage to receive their college degrees. During the evening’s festivities, Allan C. Golston, president of the United States Program of the Bill & Melinda Gates Foundation, will address this year’s graduates and CPCC will honor Alain S. Miatudila Sr. with the 2013 Richard H. Hagemeyer Educational Advancement Award and James R. Worrell Sr. with the Distinguished Service Award. This entry was posted in Announcements, Events and tagged adult high school, AHS, ceremony, degree, diploma, events, GED, graduate, graduation, high school, pathways, undergraduate by Adam Brooks. Bookmark the permalink.